Glenwood, AL (May 16, 2018) – Despite significant shifts from magazine, radio and television advertising to digital, mobile and/or social advertising by many outdoor companies, research shows, in most cases, that the swing to new media and mobile is akin to leaving fish to find fish. “Outdoor Life, Media Usage & Economics by Generation,” a 22-page report released April 2018 by blue-chip independent media consultant Brad Adgate, frames the generational architecture of America’s population (Millennials, Generation X and Baby Boomers) around each group’s economic reality, media consumption and recreational preferences, building a strong case that new media, social and mobile brand-ad placement remains an anemic alternative to traditional media as key influencers in the sale of new outdoor products. With its focus on hunt-fish-shoot, the detailed and well-documented findings of Adgate are must-read for business managers and marketers working in the traditional outdoor space. The paper uses stark objectivity to paint its portrait of the financial challenges faced by mid- to late-Millennials and Generation Z, the world’s wholesale adopters of everything digital and mobile. “The largest and (to date) most inclusive study  on advertiser’s ROI came from the Advertising Research Foundation (ARF). The study measured over 5,000 ad campaigns using 12 years of data that totaled over $375 billion in spending. It tracked over 100 product categories across 45 countries. “ARF’s ‘How Advertising Works’ found that when advertisers drop traditional media for digital, the result was a decline in sales. ARF then offered recommendations, which included: investing in a number of platforms instead of shifting dollars from platform to platform; adding traditional media to digital media to boost ROI; and using traditional media and new media, not just mobile, to reach millennials. 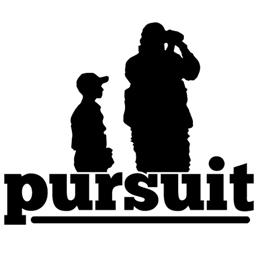 The Adgate research was commissioned by Pursuit Channel. The full paper and an executive summary prepared by the network are available at https://goo.gl/MNZQWn and https://goo.gl/EFZTse, respectively. MOOSE Media, www.moosemedia.com, represents producer time-buy, network advertising campaigns and many marketing functions for the Pursuit Channel. MOOSE is also a content producer of original television and digital video features for such clients as Ducks Unlimited and GameKeepers of Mossy Oak.